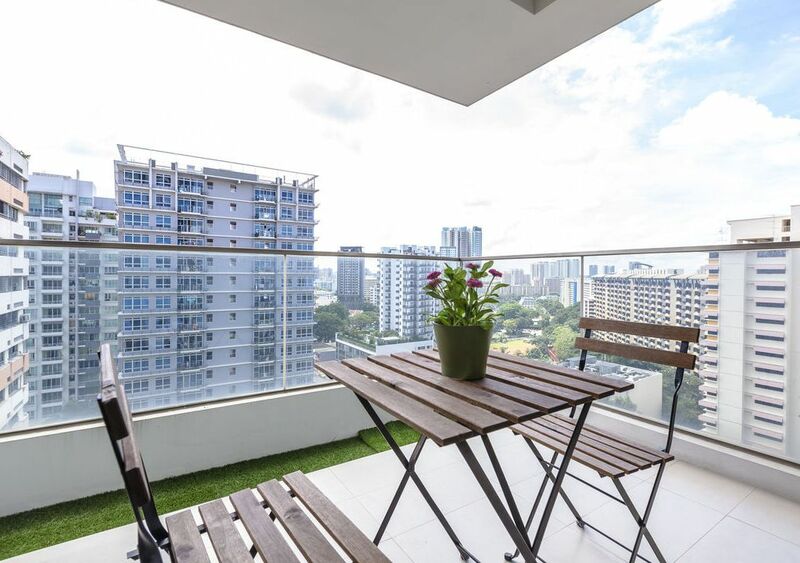 2 bedroom apartment with amazing night view from high floor and located at the central of Singapore. The apartment is fully furnished with new and comfortable furniture. Each room is provided with air conditioning, including the living room. It was amazing experience. Smooth. No hussle. Location is nice. Close to bus stop towards city centre and middle of all attractions. Price is a bit high but otherwise all good. The owner is very friendly. The house is pleasent to live in. The view is magnificent. The only complaint I have is ants. The house have a lot... whole lots of ants especially on the kitchen. You also can find ants anywhere in the living room. I can kill hundres of ants everyday. Basicly, you cant put any food on the kitchen and on the living room. Luckly, the bed room is free from ants. Overall it is a good home to stay in. If there is no ants then it will be perfect. Good location and the apartment is exactly as shown in the pictures. Comfortable and enjoyable stay. Great host . Very helpful and nice person . Anything we need he is very quick to help .. great apartment very clean and new . I recommend to stay with Nicholas. Nicholas is a great host. He's patient and very friendly. Apartment is modern, clean, well-lit and has a great city view at night. Shaw Plaza is nearby for your various needs. And, from Balestier Road, there are many bus services to different parts of Singapore. Overall, well recommeded place to stay.